The next afternoon as I opened the door to the Old Courthouse, I felt a sting on my needle finger...the one that gets pricked with every stitch. It reminded me that I had included the thimble and pad in my quilt kit. I worried all night about spots of blood on the Texas Quilt and what Josephine would think of my fence post needling leaving tracks of my DNA on the muslin backing. I walked into the space I now thought of as 'The Frame Chamber' and greeted Irene and Beatrice, two of the Armadillos. I commented on the Grandmothers Flower Garden they were quilting, and mentioned that it was one of my favorite patterns. "Sister and I pieced this top years ago. How many was it, Bea? ", Irene asked. Beatrice paused with her needle stabbed in a blue floral hexagon, and answered Irene, "Well, now let me think....I believe it was right after Mama decided she wanted Bluebonnets in her flower garden." "That's right, I remember now", Irene said and launched into the Bluebonnet story. Mama was a member of the Colonial Dames of America In Texas who were instrumental in getting the Bluebonnet named as the State Flower. Remember Sister, when she told us about speaking before the Texas Legislature to convince them to pick the Bluebonnet over the Cactus? There she was debating the merits of a flower that only blooms in the spring, lasts for only a couple of months and is difficult to grow from seed, against *Cactus Jack. He certainly had the upper hand, being a known politician and promoting a plant that can be found from Brownsville to Amarillo and from Texarkanna to El Paso. Whereas the Bluebonnet grows mostly in Southern and Central Texas. Beatrice piped in with, "I loved it when Mama told about how she whipped the *Vice President of the United States on the floor of the Texas Legislature with a Lil Ole Blue Flower". By this time, I was sitting in the absent Sudie's chair totally engrossed in watching Irene and Bea rock and load their size twelve quilting betweens and pull the thread through their quilt that held not only special family memories, but some amazing Texas history. 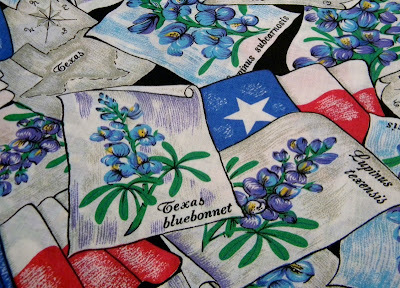 Bea pointed out the Bluebonnet fabric that her Mama had made Easter dresses for the three of them. She continued reminiscing about the woman who whipped a Vice President with words, but who could not for the life of her get Bluebonnets to grow in the dry West Texas dirt. 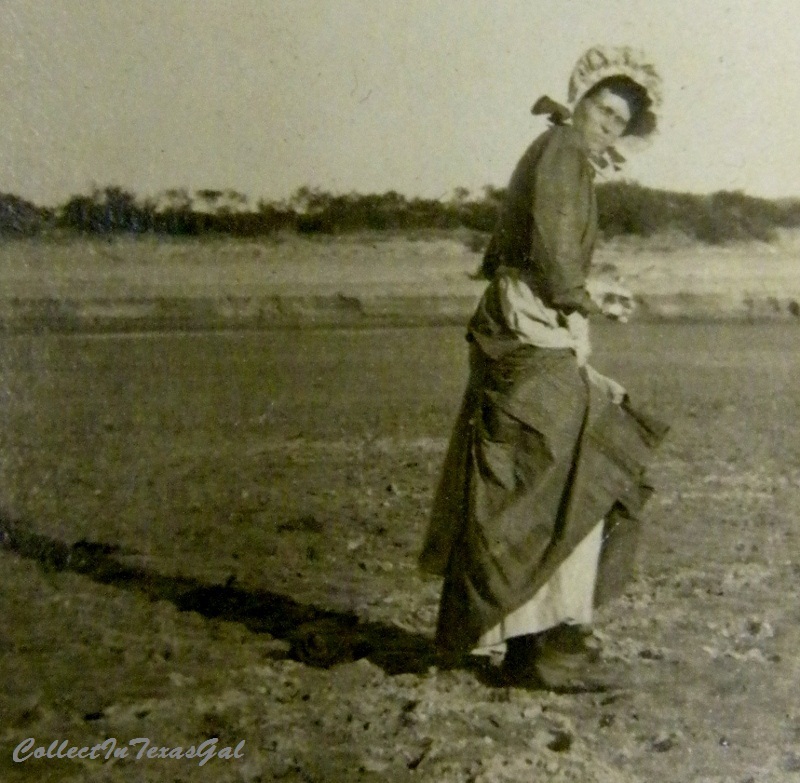 It seemed that the native to Texas and found only in Texas flower, flourished in pastures of Central Texas where conditions during the dormant season were ideal, but proved to be picky about being corraled in flower beds. the most beautiful land that we know." What an interesting bit of history! I would love to be able to sit down and listen to these ladies talk and watch them quilt! A pretty flower with a wonderful history. I love all the things I'm learning from your posts! What a wonderful story. Whipping a Vice President with words and whit! There are 2 vacant lots that my livingroom looks out onto, and 2 yeara ago a bough 4 lbs of bluebonnet seeds and threw them out and watered in hopes to create an "ocean" of flowers outside! last year the drought only yeailded about 20 or so, im hoping for more rain. Those are some classic looking quilts. Your story drives home how each individual piece of fabric has its own story. I'm really enjoying this approach to A to Z.
Wow! 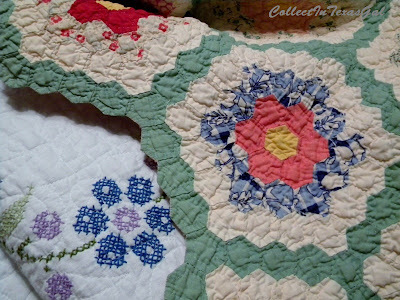 Such beautiful quilts... steeped in history! I'm popping in from the A to Z Challenge! I meant to add this to my comment yesterday: There are different size quilting needles? Such a great idea for crafting tales! I think it is so cool that you are your family's historian! Good luck with the challenge! I participated last year and had a blast! 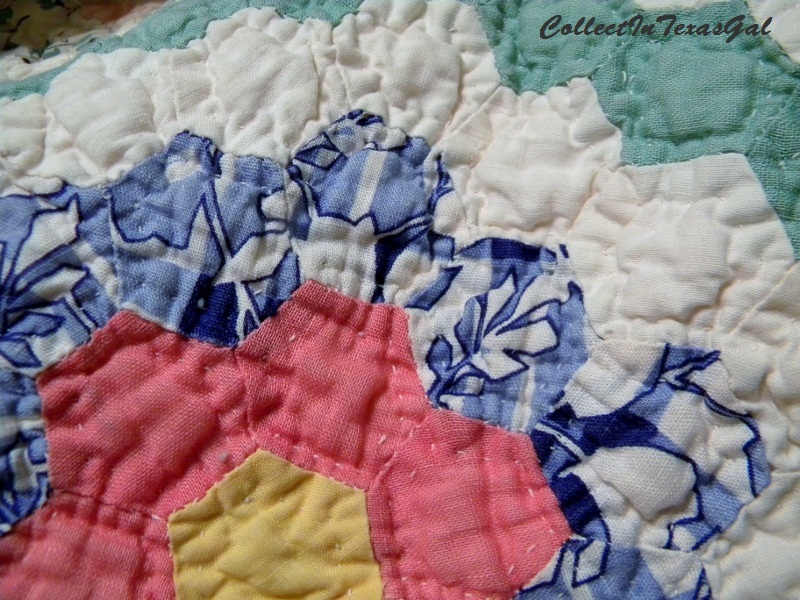 What a cool way of doing the A-Z Challenge tying it in to quilting! I've been contemplating incorporating a quilt or two into one of my posts perhaps, but I'd never have thought to take the approach you are. How neat! Last night (as I was contemplating my "B" - but then went another direction) I thought about some pretty incredible handwork I got to see done in the Middle East. Since I went a different direction I didn't use that, but it makes me to want to tie it in somehow another day. If I do, I'll try to remember to come back and let you know because I think the textile/history lover in you would appreciate it. 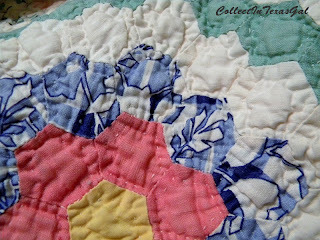 I look forward to following your blog and for the insight I know I'll gain to further my love of quilting/textiles. I remember, years ago, that there was a yard planted with bluebonnets, up on College Hills Blvd, near Ichibans. I haven't seen the bluebonnets there the last few years. I do miss the bluebonnets in the hill country.